Asked to imagine a drug theft, many Americans would form an image that includes the threat of violence and illicit substances like marijuana, heroin, or cocaine. Drug theft in 2014 often takes a much different form, a much “quieter” affair that happens on a daily basis in the Bay Area when a trusted individual slides a prescription bottle from a home medicine cabinet or bedside shelf into a pocket and is gone well before the missing vial is noticed. Prescription theft often targets seniors who may be left facing a frightening health crisis because of the missing medications. 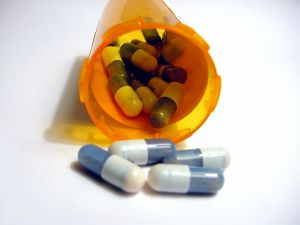 In fact, as our Northern California prescription theft attorney understands, whether part of a larger pattern of financial and/or physical abuse or a standalone event, medication theft can be a form of elder abuse, leading to unnecessary pain, uncontrolled illness, or even death and the culprits can be those whom the victim least expects. Usually when a firefighter makes the news, he or she is being hailed for bravery and heroism. This weekend, however, local and national news sources including Sacramento’s KCRA carried a very different tale as police announced the arrest of Sacramento firefighter Craig White on five counts of burglary and three of elder abuse. White allegedly targeted seniors, gaining entrance to homes by claiming to be performing inspections of smoke and carbon monoxide detectors and then stealing prescription medications. Citrus Hills Police Department began investigating after eight area seniors reported similar incidents. The Sacramento Fire Department wants people to know that they do not perform surprise residential inspections. Sadly, this is far from an isolated event and prescription theft is a problem of epidemic proportions with the elderly among the most frequent victims and the culprits often the most trusted of individuals. Earlier this year, Contra Costa Times reported on a Concord police officer accused of prescription theft and a related count of elder abuse. The stories of heroes-turned-villains are noteworthy, but caregivers probably who commit the largest share of residential prescription thefts. One example is a case pending in Ohio where, according to a December 2 report from ThisWeek News, police are investigating a nurse accused of stealing painkillers from residents of a senior care facility. In an article titled “Medication Theft: Protecting Our Most Vulnerable Neighbors,” the National Neighborhood Watch cites a National Drug Intelligence Center report that found prescription thefts totaled $184 million in 2010, a figure that represents a whopping 350% jump from 2007. Referencing the terminology used by many government and research groups, the group confirms that older adults are particularly vulnerable and that most cases of “pharmaceutical diversion” involve someone the victim knows well and trusts with access to their home. The piece recommends older adults be aware of the possibility of drug theft, keep inventory of the drugs in their home, and even consider using a lockbox to secure medications. The effects of pharmaceutical theft are wide-ranging. Most discussions center on the thief and the problems associated with prescription misuse. While these are certainly important issues, we think too many discussions neglect to consider the impact on the victim. Forcing someone to face uncontrolled pain is absolutely a form of abuse. In many cases, even people who take pain medication exactly as prescribed will face serious withdrawal issues if they are suddenly left without their medications and the impact can be life-threatening. Pain medicines are not the only pharmaceuticals subject to “diversion” and being without medications can cause incredibly serious health consequences. There’s a reason why the perpetrators often face counts of elder abuse, counts many reports gloss over too quickly. Discussions about pill theft must not leave out the victim. If you or a loved one has been the victim of medication theft that caused pain, illness, or even death, you and/or your family member may have a civil claim against the offender. Often, prescription theft is part of a larger pattern of financial, physical, or metal abuse. We help victims. Call to schedule a free legal consultation. We serve all of Northern California with three convenient locations and you can arrange a consultation with our elder abuse lawyer in Santa Rosa, San Francisco, or Oakland or we will make other arrangements to meet your needs.